The Zambezi River is Africa’s fourth largest river, running through six different countries on its way to the Indian Ocean. Much of the Zambezi is undeveloped and retains its raw beauty. Its biggest claim to fame are the gorgeous Victoria Falls, which we blogged about a few days ago. While in Zambia, we had the opportunity to enjoy several safari cruises. The scenery was stunning, but the wildlife even more amazing. 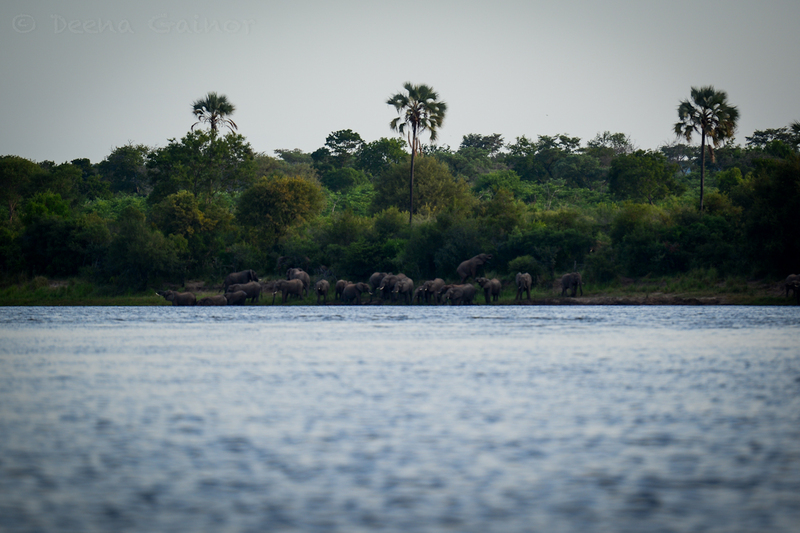 Our highlight was spotting a huge herd of elephants satisfying their thirst riverside. We were all surprised to see this, as there had been much rain and flooding prior to our arrival. We had been warned that when this happens, animals can be a bit harder to spot, because there are plenty of water sources around. They aren’t forced to the riverside, where they can be spotted more easily. So we were thrilled by unexpectedly stumbling upon this herd. Our course, we thought we’d be watching the elephants from a safe distance away in our little boat, but our guide, Luckson (awesome man!!) had other ideas. He pulled up slowly right to the water’s edge, close enough to see everything but far away enough to not spook or anger the elephants. We couldn’t believe how close Luckson allowed us to get. Finally satisfied that we meant no harm, this elephant bull slowly retreated, glancing back occasionally to make sure we were still safe. Of course, I understood his suspicion and respected it, but was highly relieved when he deemed us worthy enough to remain and watch. 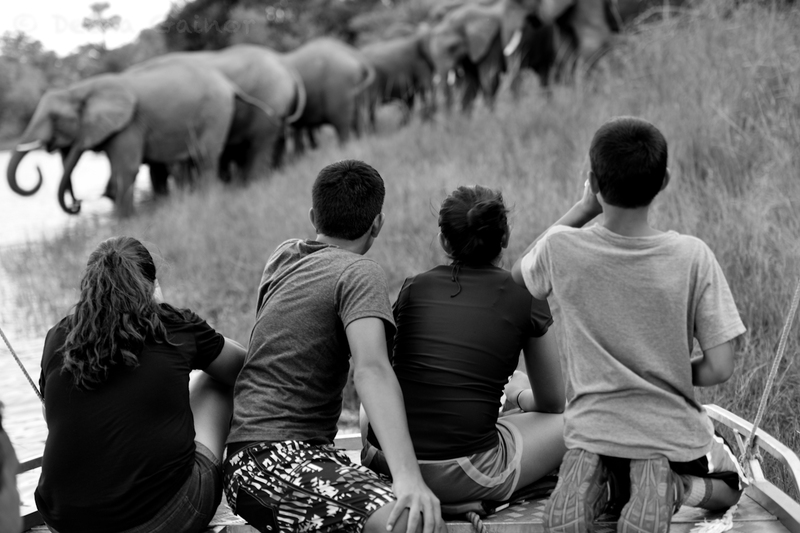 Once he left, we were able to relax a bit more, and enjoy watching the rest of the herd with their calves. Below are a few shots from our time with this amazing herd. It was neat to watch how protective the herd was toward their young. A calf never seems to notice he or she may be in danger until the herd points it out by gently pulling the calf safely into the herd. At that point, made aware of potential danger, the calf hides behind the adult elephants’ legs or even under the safety of their bodies. It’s a precious sight, really. Note the third photo above. As one mama elephant is pulling her baby close, she also has her eyes on us! I remember hoping and praying she felt calm, safe, and relaxed. She did! Now, I would be negligent if I didn’t mention the hippos. Everywhere we floated, we’d see first their pointy ears and beady little eyes pop out from beneath the surface of the water. Next we’d see the face emerge, and occasionally, a lot more of the body. 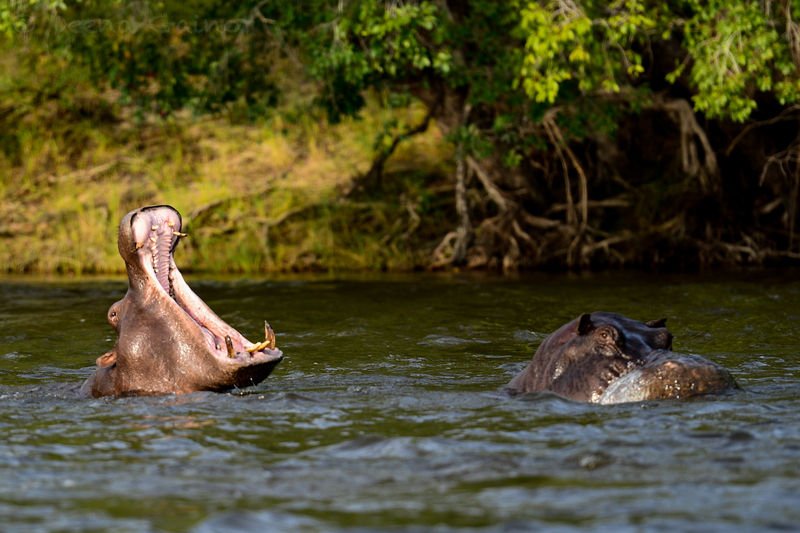 If we were lucky, we’d see the ‘yawn”, the one thing that allowed us to get a really great view of all of the hippos teeth. I’ll apologize now for all you hippo lovers out there, but the truth is, these animals are just not that attractive! They are, however, a great deal of fun to watch, provided they don’t get too close to your minute little boat and overturn it. That would not be pretty. Here are a few fun (or not so fun) facts about hippos. 1. Did you know that they are one of the most dangerous safari animals in Africa? 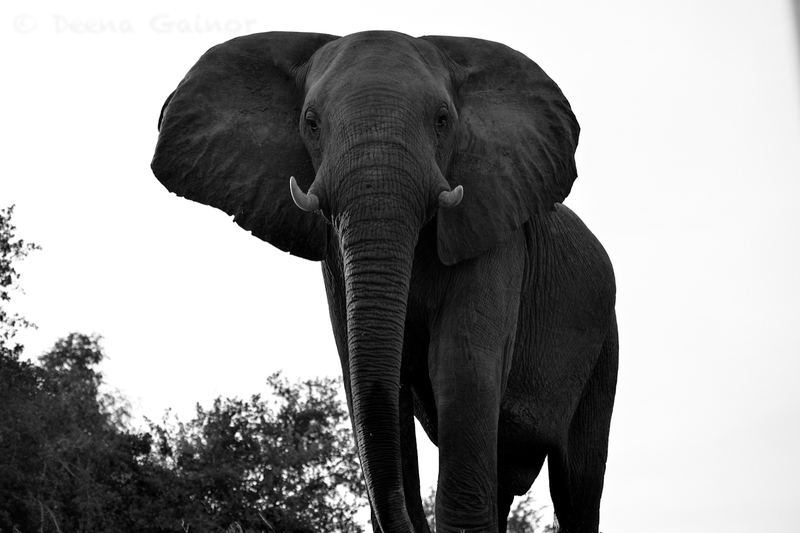 They are responsible for the most human fatalities in all of Africa than any other large animal. 2. Their incisors are enormous, and can grow to almost 20 inches long, capable of biting a human in half. Again…the hippo is not the most attractive, cuddly creature we saw. 3. Despite their stockiness and short legs, hippos can outrun a human being, and have been clocked at 30 miles an hour. Surprised? I was. Now, as I come to the end of my post, I must share one last thing the kids loved. Can you guess already? 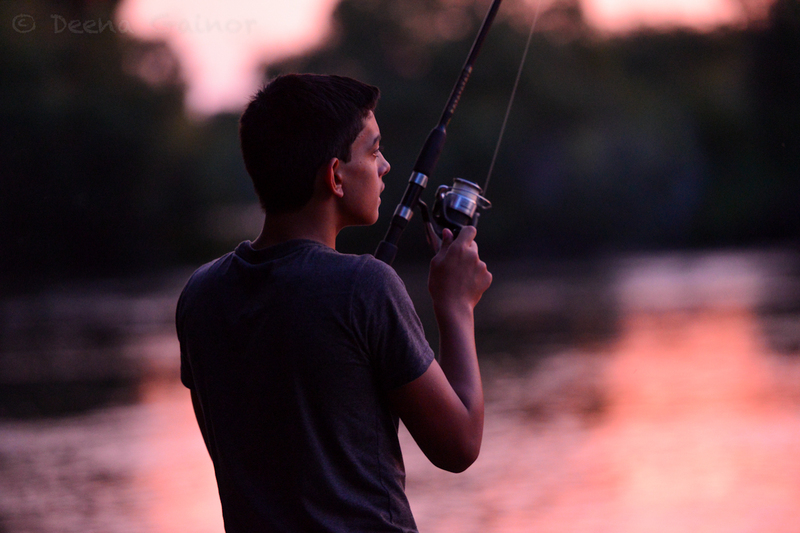 Yes…it’s fishing. 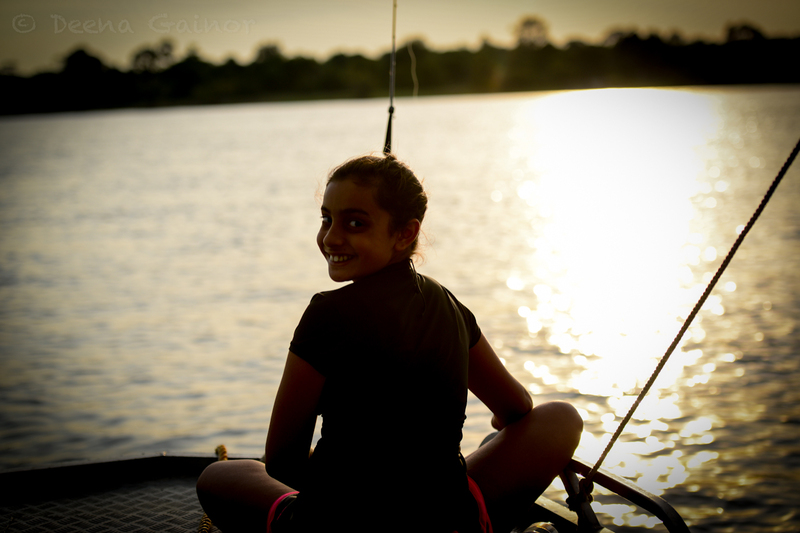 They loved to fish and the Zambezi River was their first real attempt. Of course, they didn’t end up catching anything, but the experience was so much fun. 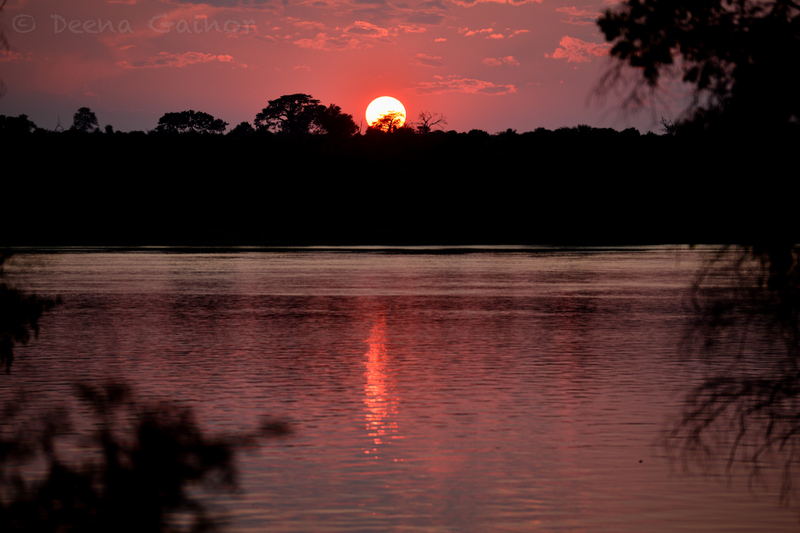 And of course, here is one final shot of the amazing sunsets we got to view while on the Zambezi River. Every night held a spectacular sunset for us and it was something we really looked forward to. If you plan to visit South Africa on safari, make sure to save a few days to visit Zambia, Victoria Falls, and the Zambezi River. You will not be disappointed! My sister (who you know, Quinn!) and I always talk about how we’re scared of hyenas and hippos. That we’d rather take on a lion than either of those. Quinn from Palace? You’ll have to let me know. And yes…I fully agree. I was never scared of hippos until I realized how powerful and scary they could actually be! So while the kids enjoyed spotting they beady little eyes surfacing, I kept a very wary watch, ready to grab the kids should they be knocked off! Yep, that’s her! (Brown hair, cheesy smile, haha) She told me about your family’s trip when she met you in Mexico and I’ve been following along ever since! Thanks so much. It’s a beautiful location!